On Fred’s first day he walks into the plant and meets with the Electrical Foreman who assigns Fred to MCC-83 to work on breaker maintenance for the day. Fred grabs his arc flash PPE bag and heads out to the job site. Upon arrival at the job, he notices that there are no labels posted on any of the equipment that indicates the arc flash incident energy levels or boundaries! But Fred’s cool, he remembers from his training that luckily the technical committee of CSAZ462 (NFPA 70E) Workplace Electrical Safety has come up with a way to get around this. Fred dig’s around in his bag and pulls out his version of CSAZ462 and turns to the arc flash PPE category method to figure out what he needs to wear for arc flash PPE that day. Now if you or your workers are in a similar situation what would you do? In 2015, the arc flash PPE category method replaced the old (and very confusing) hazard-risk category method. The new version is very easy to understand and flows nicely through the decision-making process. If you do not have a copy of CSAZ462-15 you can link to it here. Step 1: What task are you about to do? The thing you need to remember most about arc flash mitigation is that it is task specific. While the level of arc flash incident energy will remain the same for a particular piece of equipment the risk of an arc flash will change depending on the task. When it comes to determining risk you will either get a ‘yes’ or a ‘no’. So, a certain task is deemed risky or not risky, there is no in between when it comes to electrical safety (this is contrary to conventional safety theory where risk may increase incrementally based on likelihood and severity of an incident). 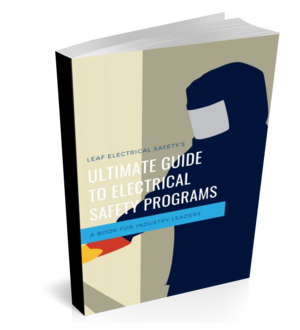 The CSA technical committee has provided a table (Table 4A) that spells out the most frequent tasks that qualified electrical workers will perform. Beside each task, there is a ‘yes’ or a ‘no’ that tells you if you should be wearing arc flash PPE or not during that task. Here is a glimpse of table 4A from CSAZ462-15. So what would Fred do? He’d find the task “Removal or installation of CBs or switches” in Table 4A. Then move to the next step. Step 2: What is the equipment condition? For some of the tasks that you perform the risk might be deemed low and therefore does not require arc flash PPE. But you need to check the equipment condition before you proceed. there is evidence of impending failure. Fred’s task of 'Removal or installation of CBs or switches' has an ‘Any’ under the equipment condition. This simply means that no matter what the condition of the equipment for this particular task the requirement for PPE will never change. Step 3: What equipment type, and voltage am I working on? It’s not until the third step that you actually consider what equipment type you are working on and at what voltage. It seems counter-intuitive but you need to remember that this is task specific not equipment specific. So if you came up with a ‘yes’ from the first table then you need to find the equipment in the next table (Table 4B) and the voltage rating. Once you've found it take a look at the arc flash PPE category and the arc flash boundary listed in the column next to your task. Fred was assigned to work on 600V motor control centers and if you look at Table 4B you will notice there are two different sets of parameters that will give you two different arc flash PPE categories and arc flash boundaries. I know, I know, I told you this was easy, and if you want to stick with easy then just use the higher numbers of category 4 and boundary at 4.3m. This is the one drawback of using the arc flash PPE category method. To do it right, you need to determine the available short-circuit current as well as the fault clearing time. You also need to ensure you are working at the assumed working distance. Fred decided to check with the site electrical engineer and found out he was safe to use arc flash PPE category 2 and boundary at 1.5m. Step 4: What PPE do I need to wear? The last thing you need to do is determine what PPE is required. For the most part, your entire body should be covered in arc flash PPE, including eye protection and ear plugs. Turning once again to CSAZ462 (Table 5) you will see the arc flash PPE categories 1 to 4 and a very self-explanatory list of the PPE required. Fred chose to wear arc-rated long sleeve shirt and pants, arc-rated faceshield and balaclava, hard hat, safety glasses, ear plugs, leather footwear and because there was a possibility of a shock hazard he wore his rubber insulated gloves with leather protectors. That's it. Like I said earlier as long as you have confidence in determining the available short-circuit current, the fault clearing time, and you are working at the assumed working distance, then this method is very practical and easy to use. Next time we will discuss the incident energy analysis method which takes a lot more work up front but in my opinion is far superior to the arc flash PPE category method for choosing PPE.